The goal of this project is not to port the entire TISEAN package to octave. That would be a desired outcome though it might not be feasible within the time constraints. The goal of this project is to give the TISEAN package a solid start and to port as many functions as possible to create a solid foundation for the future. They are ordered so that according to my estimates the difficulty rises with the number. This is because typecasting and implicit typing (which is included in most of the FORTRAN files in the TISEAN library) can be problematic sometimes. This number can be brought down significantly. 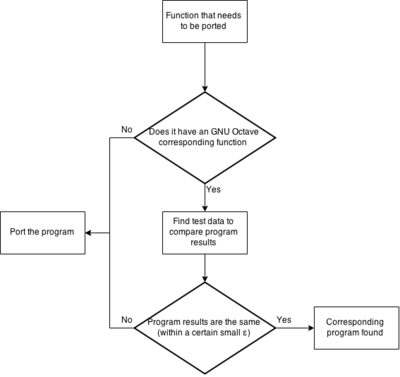 This is because some programs are deprecated, others are just C/FORTRAN copies of each other, others are not important in GNU Octave (such as 'compare' and choose'). After taking the factors above into consideration the number of functions that need to be ported drops to 49. I have prepared a detailed discussion of all of those functions here. This number will further drop once certain programs are confirmed to have similar programs in GNU Octave or some packages in Octave Forge. Apart from the qualitative division I propose a work oriented division. In it each subpart can be tackled separately and create an entity in-and-of-itself. I chose to work along the lines of the articles about implementations of nonlinear timeseries included in the documentation. This article discusses various algorithms and what certain programs mean. It can be found here. I will discuss in which order I would like to port various topics from this article and where my work currently stands. I have already started working on this stage. My progress can be viewed at https://bitbucket.org/josiah425/tisean. So far I have implemented addnoise, project and re-implemented henon as an mfile. As most work on this topic has been completed I estimate that finishing it up will take around 2 days -- throughout my outline I estimate about 1 day per program (that includes documentation and testing). There are two more programs in this section of the article they are: 'autocorr' and 'pc', both implemented in FORTRAN. There is no need to port them as according to the documentation (here) they are redundant with other functions. Further more, it is likely 'corr' does not need to be implemented, because 'xcorr' in signal package seems to have similar functionality. This has not been confirmed yet, once that occurs, a definite answer can be given. Assuming around a day for each function (with testing and documenting the usage) I assume this stage will take a little under a week. Again assuming around a day for each program (with testing, documenting usage and writing examples) I assume this stage will take about two weeks. It will take about 2-3 days to complete. This part of the article also mentions 'c2naive' which is implemented in FORTRAN, but it is also described as redundant by the documentation (here) This stage should take little over a week. I expect this stage and the previous one to take about two weeks. This stage should take me about 3 days to complete. The programs: 'spectrum', 'historgram', 'extrema', 'corr' need to have a confirmed equivalent function in GNU Octave. This stage should take me about a week. Totaling up the above estimates it should take me 6-7 weeks to complete my task as outlined above. My estimates might be high, but I believe it is more important to complete the task thoroughly than to port more programs haphazardly. 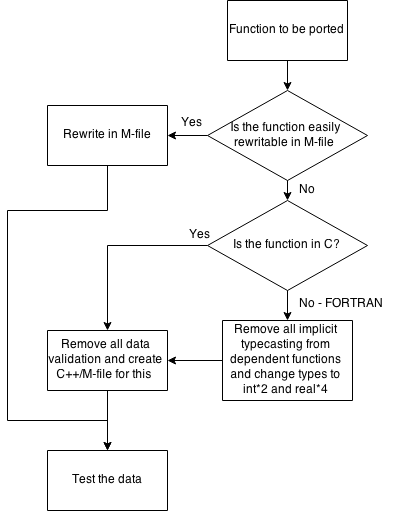 I intend to do here something similar to the FORTRAN programs, although, it might be better to not create any extra m-files and incorporate the program's existing input validation into the .cc file. This might be a desired course of action. I will make a decision once I complete one such linking program. This is quite straightforward, although it is important not to make a mistake while taking this approach. In reference to the TISEAN library alphabetical order of programs which is located here.